HKC Roofing repairs, maintains, and installs many of the Cedar Shake roofs in Cincinnati and Northern Kentucky. Cedar shake is a beautiful and natural roofing product whose look is often imitated by other roofing materials. However, there is no match for the prestige and performance of Western Red Cedar shakes and shingles. Western red cedar shake has played an important role in the building of America throughout the past century. Cedar shakes have graced the exteriors of countless homes, from modest cottages to stately mansions. 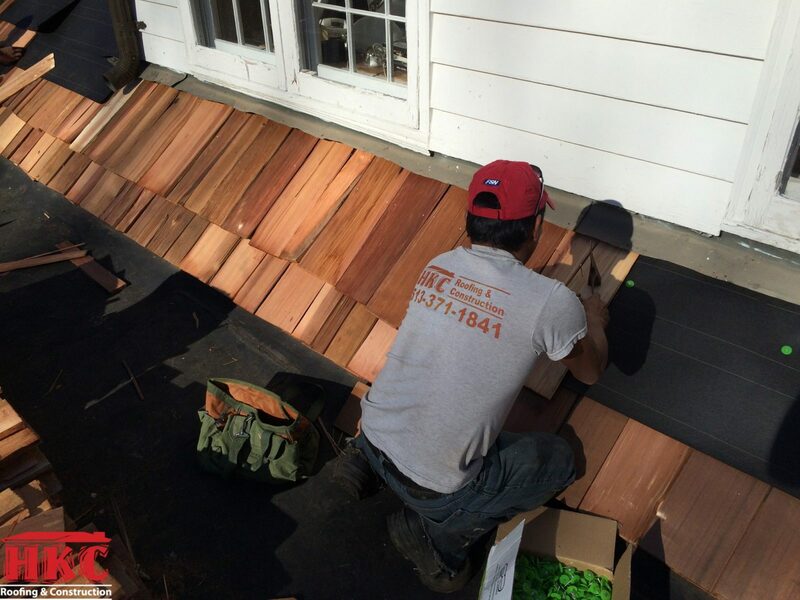 The main reasons for red cedar roofing’s enduring popularity are its long-lasting beauty, rich earthy colors, warmth, and subtle texture patterns. In today’s era of machine-made synthetics, cedar’s natural warmth and visually satisfying richness offer a timeless quality that continues to make cedar shingles and shakes popular with architects, builders and homeowners. Each roof is unique and each individual shake is hand cut. 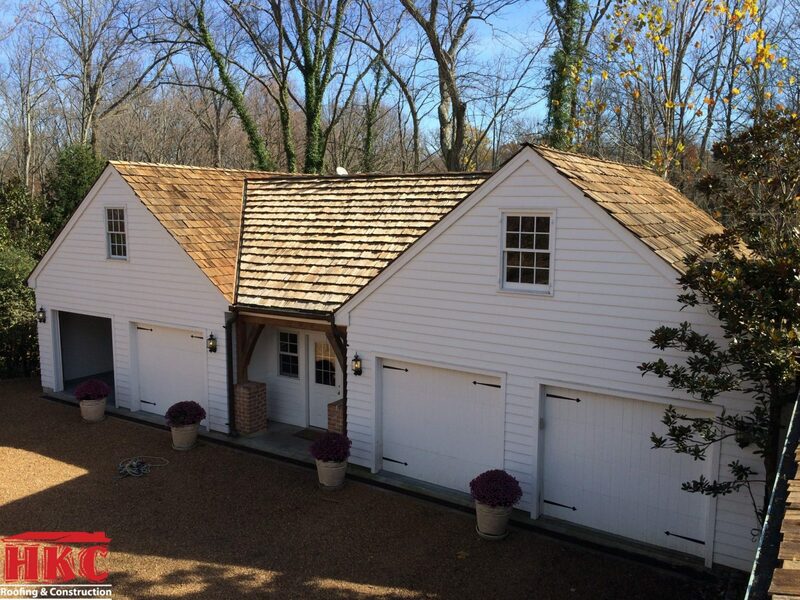 When you choose a cedar roof, you’re choosing a luxury item, not just a roofing material. Pressure treated cedar shakes and shingles impregnated with a fire retardant are also available. These treatments offer improved durability and a permanently fire resistant cedar roof. 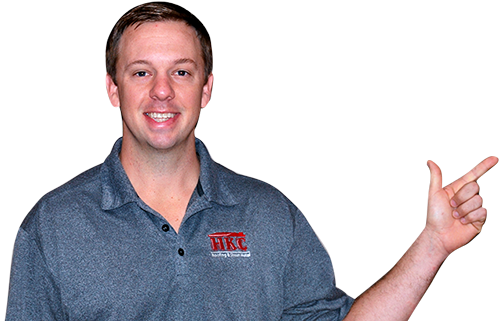 HKC Roofing specializes in the repair, maintenance, and installation of cedar shake roofs. This includes cleaning the roof to remove harmful moss, algae, fungi or lichen that can hold moisture and cause the cedar to deteriorate. Cedar can be stained for aesthetics but should never be sealed. A sealer will trap moisture, causing more rapid deterioration. The performance of a cedar shake relies on it being able to breath. As long as the cedar shakes are kept clean they will last upwards of 35 years. It is recommended that cedar roofs should be cleaned and repaired approximately every 5-7 years to maintain the roof’s integrity. Let our years of experience help guide your project. When applied correctly using the best craftsmen in the trade, cedar shakes can be some of the most beautiful roofs you’ll find. Give us a call, or click “Request an Estimate” above, to learn more about cedar shake roof options.